Of course, I could make it exactly like Lyle did. It just isn't in my nature to take a recipe without changing it up some. 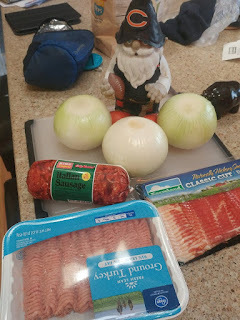 At our neighborhood grocery store, I bought myself some large onions, ground Italian Sausage, ground turkey. 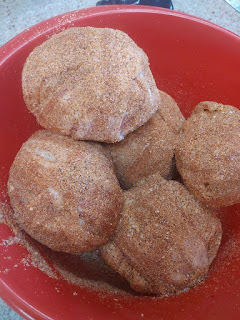 In a bowl, I mixed the ground Italian sausage and turkey with Onion powder, Pepper, Salt, Garlic, Cayenne pepper, and Basil. 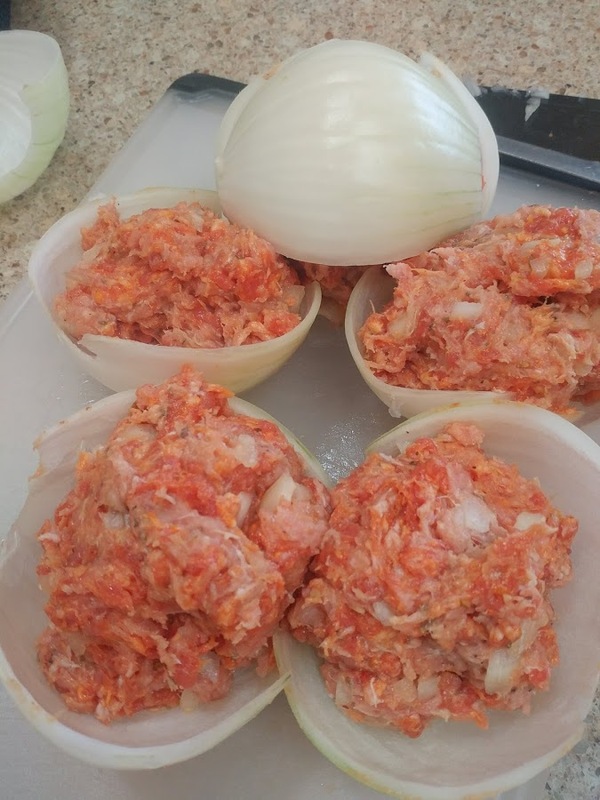 I also threw in an egg and some minced onion. I formed the meat mixture into balls around little cubes of monterey jack cheese. I removed outer layers of the large onions in halves, and placed the ground mixture inside. I covered the top with the other half to make a ball. 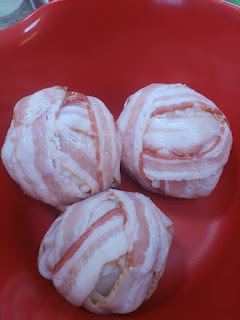 Then, I wrapped bacon around each meat stuffed onion ball. 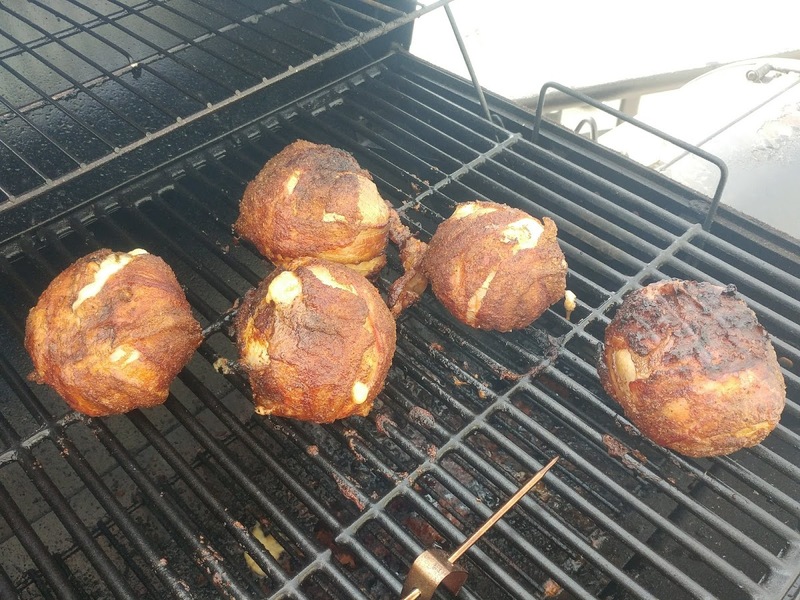 I had some of the rub left over from my Smoked BBQ Drumsticks, so I put that on the bacon. 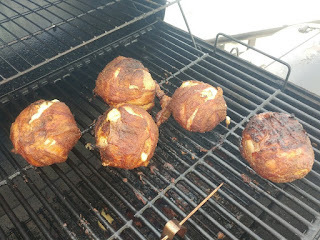 I heated the smoker to somewhere around 285 degrees and threw the balls on. 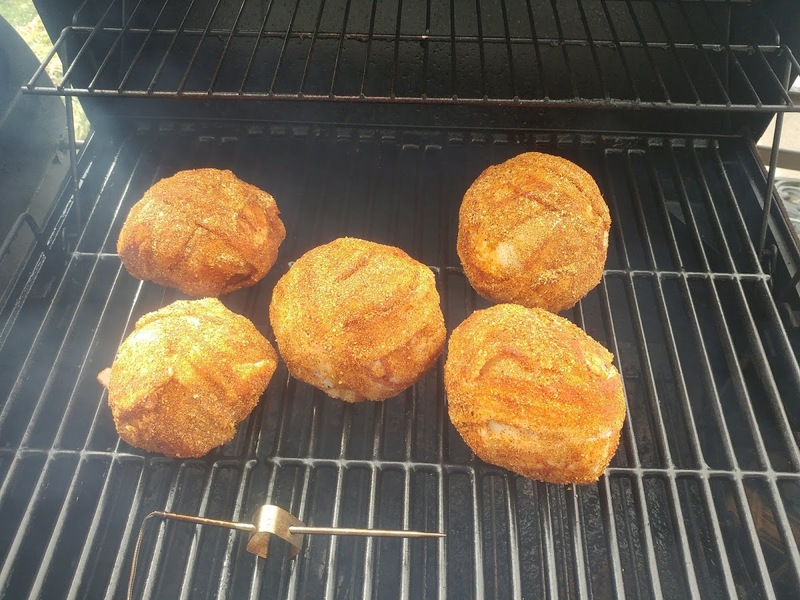 I let them smoke around that temperature for about 2 hours. 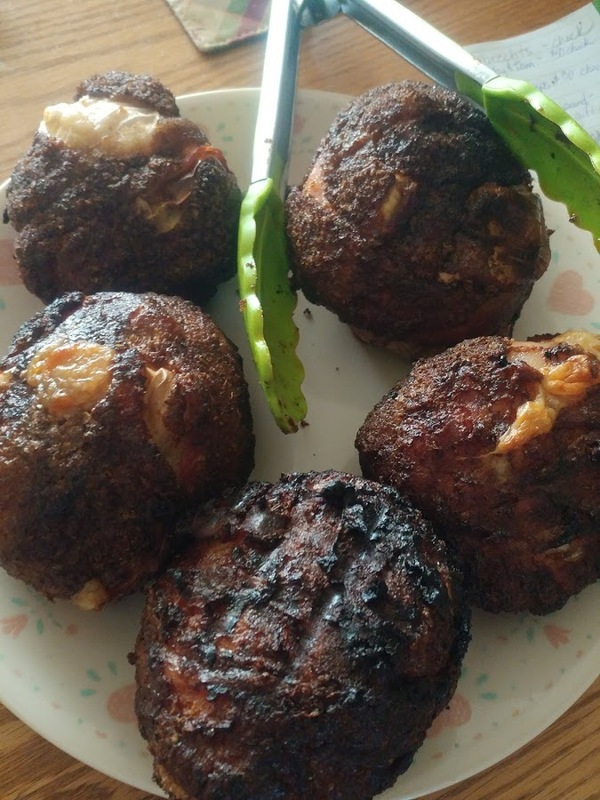 I pulled them off and served them to the family. It was a hit. This is something none of us had heard about and it was a fun little weekend meal. Something to keep in mind to try again when I want to smoke something relatively quickly. Of course, the variations of this recipe are endless. You can change up the meat. You can include other things in the stuffing mixture. You can change up the cheese. or don't use cheese at all. You can leave off the rub. You can slather the bombs in barbecue sauce. I'm sure you can think of other things to do. 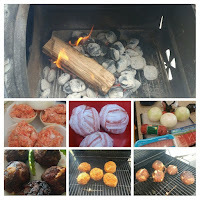 You can even make different styles for different people in your family or whoever it is you are feeding. Let me know if you give this a try. I would love to know what variations you come up with.